MM 1/c William A. Bolton, son of Mr.and Mrs. W. A. Bolton, graduated from Grandfield High School; husband of the former Sybil L. Parris. 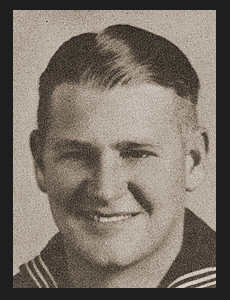 Entered the Navy in March 1942, trained in San Diego, Cal; served in Alaska, Kodak, Dutch Harbor, Adak, and Attu. Awarded Good Conduct Medal, Asiatic Pacific Ribbon, and Am. Theatre Ribbon.